Season’s Greetings from Dave and Assia! Just to keep your folding hands in, please add a few more decorations to your Christmas tree. Here’s how. First print out this page on an A4 sheet. 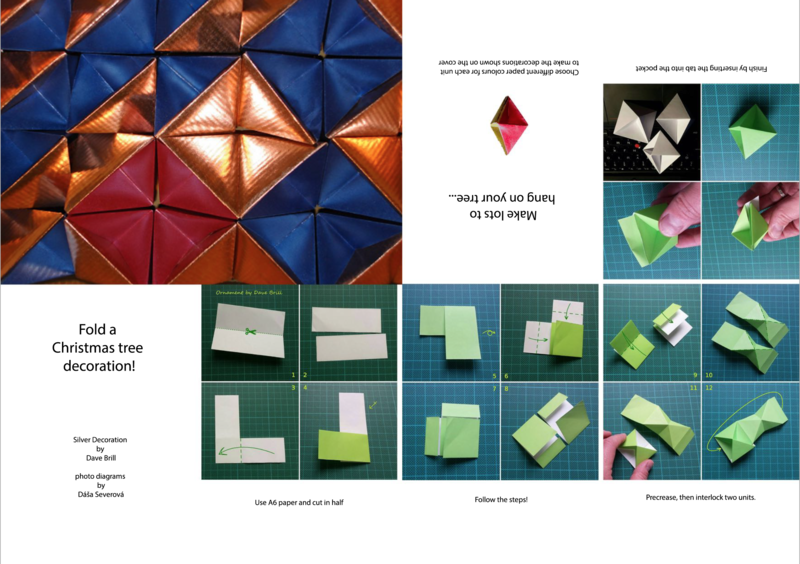 Now fold it and make it into a booklet like this. Make the simple origami decoration using Dáša Ševerová‘s excellent photo tutorial. Thanks, Dáša! Finally, if you would like some rather different Christmas entertainment, please spend a fascinating fifteen minutes viewing my Grandfathers’ painted panorama, London To Hong Kong in two hours. Full information about this extraordinary family heirloom at this website. Full screen recommended. Bon Voyage! A reminder of summer days.